Ho Chi Minh City (Vietnam), September 29, 2016 – The Bühler Group opened a factory in the Long An province in Vietnam today, addressing increased demand for high-quality rice processing solutions in the region. The new factory will employ over 200 workers and further expands Bühler’s global service and production network, delivering high-quality solutions to customers locally. At the same time, Bühler is further strengthening its leading position in the global rice processing industry (in terms of combined turnover in rice milling and logistics). Currently, around 30% of global rice production is processed on Bühler equipment. Vietnam’s population of over 90 million people strongly relies on rice as a staple food. An estimated 5,000 rice processors produce more than 45 million tonnes of rice every year, making the country one of the largest rice producers worldwide. 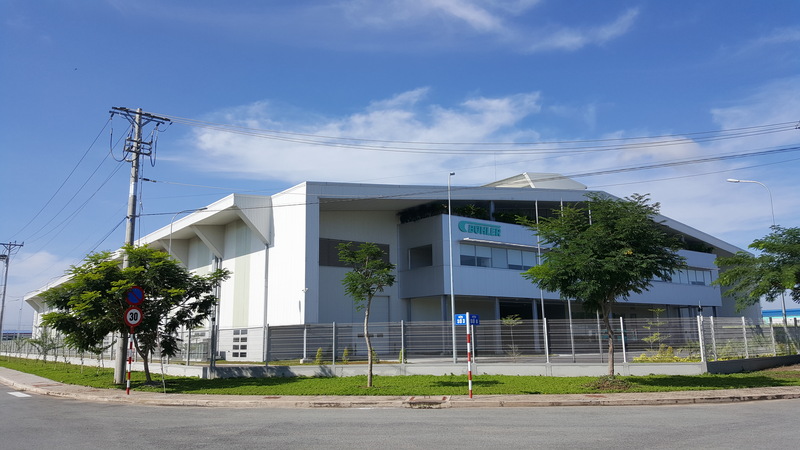 With Bühler’s new factory for rice-processing equipment, local rice processors will now be able to offer their products in a quality that meets export standards, strengthening the position of Vietnam in the international markets and enabling it to face competition from Thai and Cambodian rice producers. Demand for state-of-the-art rice processing solutions has never been greater, as it enables processors to profitably improve their rice quality and meet export requirements, while enhancing food safety and quality standards for domestic consumption. This multimillion-dollar investment includes a complete sales and service office, engineering and R&D units, as well as a production workshop. The factory can deliver entire rice milling solutions and is expected to produce several hundred machines to Vietnam and neighboring countries annually. The opening also coincides with the official launch of the Bühler W sorter in Vietnam. This high-precision rice sorter reliably removes defects and foreign material from a range of rice varieties, enabling Vietnamese processors to compete on a global scale with high-quality rice.